The Rosicrucian teachings offer you access to a vast storehouse of profound wisdom carefully preserved for centuries. 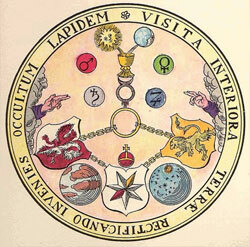 The Rosicrucian system of study enables students to achieve their highest potential and bring about a transformation on all levels of being: physical, mental, emotional, psychic, and spiritual. Discover how to achieve vibrant health and increase your vitality. Experience more of the joy of life by acquiring specific techniques to reduce stress and speed up your body’s natural healing processes. Learn how to bring into physical manifestation the life you’ve dreamed of, whether it’s happiness and peace in your personal life, or success in your business. The Rosicrucian studies give you specific knowledge of metaphysics, mysticism, psychology, parapsychology, philosophy, and science not taught by conventional educational systems or traditional religions. Learn techniques for relaxation and meditation, how to use visualization as a tool to achieve your goals, and much more. Develop a greater sense of confidence and inner peace that comes from knowing how to tap into your inner wisdom to find the answers to life’s challenges. This inner peace helps you remain calm, centered, and focused in the midst of crisis, makes you a source of strength for others, and promotes more harmonious personal relationships with your friends and loved ones. Awaken your deeper psychic sense, a natural faculty which is dormant in most people and only needs to be developed. Enhance the strength and power of your inner being, bring it to a higher standard of operation, and open up a whole new resource for increased intuition, insight, creative inspiration, and innovative solutions to problems. Achieve a gradual inner awakening, leading to a permanent awareness of the unity of all creation and your personal relationship with the “oneness” of the universe. This leads to an integration of all aspects of your being. From this spiritual foundation, from your connection with the greater whole, everything else flows. The Rosicrucian studies aid you in developing a workable and practical philosophy of life and the inner peace that comes from understanding the nature of the universe and your relationship to it.